Mikael Blomkvist was a respected financial journalist but after being found liable by the courts is now a pariah in his field with no idea what he will do with his future he is suprised by an offer to ghost write a memoir of the Vanger family and find out what happened to Harriet Vanger in 1966. 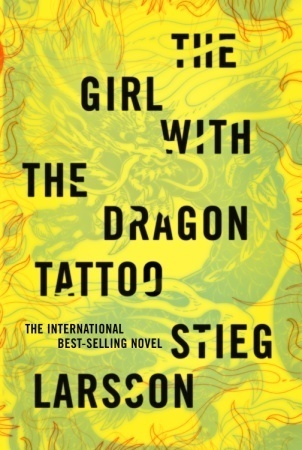 When he hits a wall with his research he enlists the help of Lisbeth Salander to research possible connections to Harriet’s disappearance what they come across is far more sinister and intriguing than just the disappearance of one girl. Let me start with the fact that I have never read this book nor seen the movie, that being said though this is an interesting read it is very predictable. From the very beginning I knew what had happened but this also gave me the chance to say “Ha! I knew it!” The story is quite enthralling though and there are several aspects that leave you guessing which make up for the fact that the main plot is so easily figured out. The romance in this novel is subtle and beautiful, I didn’t care much for Mikael’s character he seemed like a womanizer but Salandar is a remarkable character with several depths and such a strong character you cannot help but like her. The only other problem I found with this book is that it is rather slow, the first half of the book is all build up with very little action or even events taking place but if you can make it through this it turns out to be interesting and is well worth the read. Abigail’s life has just been turned upside down, her mother was killed and now she must adjust to living with an aunt she never even knew existed in a small town in England a far cry from her home in Chicago. 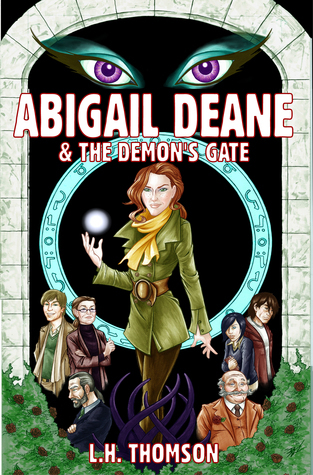 But this is just the beginning of Abigail’s story she soon finds out that she is a sorceress and must learn to control her magic before she becomes the target of a more sinister plot. Shortly after she realizes what she actually is strange things begin occurring and she is pulled into a nightmare that stretches all the way back to ancient Africa and the Holy Land. L.H. Thomson did a wonderful job bringing this story to life and considering he incorporates such places as London, Spain, and Jerusalem that is a remarkable task in and of itself but with vivid details of the landscape each one is impressive in its own way. The story itself is intriguing though Abigail is recently orphaned she is strong and does her best not to let her own life stop with that of her mother’s as she learns more about her gifts she also learns more about her mother and feels a connection with her that she had never felt before it is truly beautiful. But do not misunderstand my review this far it is not a sappy sort of novel but full of extraordinary twists and enough adventure and action to keep you coming back for more. Randy Lafitte is cursed when he turned eighteen his father took his own life, then again when his son turned eighteen he was murdered; now his daughter has just turned eighteen and has been kidnapped. Not only does Randy have to pay a hefty ransom but he must also release Lincoln Baker from prison the same man responsible for killing his son. But this is just the tip of the ice berg as Randy Lafitte will stop at nothing to get what he wants including murdering those who stand in his way dragging his family into a churning void of murder, voodoo, and terror at its finest. I wasn’t quite sure what to expect with this novel the synopsis is vague at the best but once you read it you realize there is no way to do this novel justice in just a few short words. The author brings to life a new side of Louisiana; all while a hurricane is looming in the distance intent on destroying anything in its path. The interlacing factors in this novel are so profound that you must thoroughly pay attention you will find yourself lost in the confines of the pages. 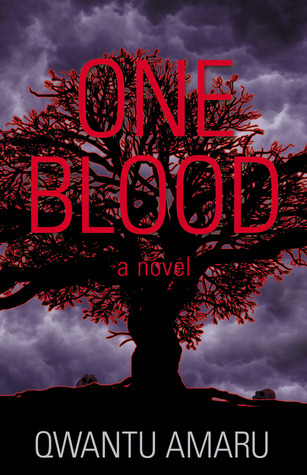 The story is intricate and immerses you so thoroughly that it is a remarkable book to say the least, what truly makes this story great is that it is believable enough with just the right blend of murder and intrigue with paranormal factors that it comes to life on the pages. This book was definitely an interesting and scary enough story that I almost couldn’t put it down it is a shame that we all must sleep sometime. Jacob’s grandfather has always told him stories of the orphanage where he had lived for a while and the peculiar children who reside there such as the levitating girl or the girl who could control fire even the boy who was completely invisible unless he wore clothes. As Jacob grew older he began to dismiss his grandfather’s tales as fairy tales that is until the night his grandfather died and he saw something that would begin his journey to find the orphanage and some answers. This book is the young adult version of a picture book, and the pictures that tie into the story are amazing and bring an altogether new depth into the reading experience. Ransom Riggs did an extraordinary job bringing to life a broad set of characters each one with their own remarkable gift. The story itself is captivating as Jacob comes to terms with what he has seen and learns that he is not a coward inside after all, nor is he going insane. This is a great book I think this would be a good book to use for a young adult who is having a hard time getting into reading as the visual aids would entice them to keep going. 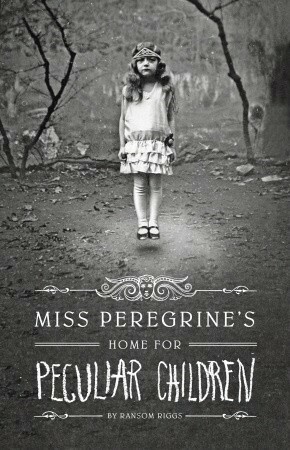 I can’t wait to read the next book and find out more about the peculiar children. All Seraphin wants to do is make it through graduation and get the keys to her family home, after the death of her father Seraphin has been troubled by visions and randomly blacks which has led her to become an outcast. But after graduation she realizes that the black outs are only the tip of the ice berg where her life is concerned and when a mysterious man comes into her life she realizes she has been lied to her entire life. As she is tossed into an unexpected world she must come to terms with who she really is and find out who she can and cannot trust. 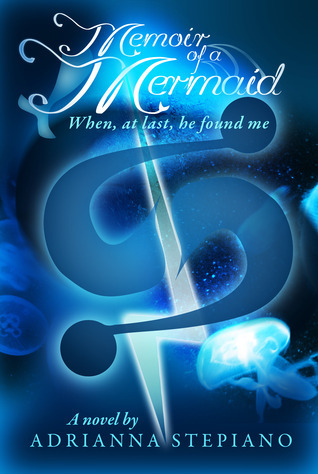 Adrianna Stepiano did a wonderful job in bringing to life the mythical world of mermaids, she managed to take a classic tale and bring it into a whole new dimension. Seraphin is a strong willed character unlike a lot of the young adult female characters who are coming to terms with themselves and growing up within the pages of a book and her love interest is arrogant and stubborn but when you combine the two they blend perfectly. In this story Seraphin turns out to be a guardian amongst mermaids and if this is not enough of a plot for you the author throws in one of the best fight scenes imaginable, as I read this book I kept thinking there is no way the author will be able to top this novel until she drops a bomb at the end that is sure to bring you back for more. This was definitely a great book and I look forward to reading more of the series.